Oh, my. This series is hot. 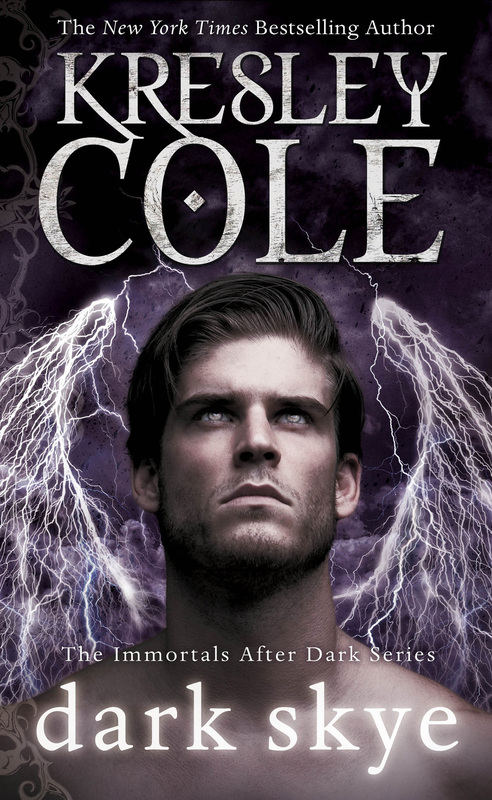 I have read paranormal romances before but Kresley Cole got me addicted. I don’t really understand how it happened, so maybe writing about it will give me insights. The world of the Immortals After Dark (IAD) is populated by a variety of powerful immortals, from vampires to Lykae, witches, demons, sorceresses, Valkyries to gods and goddesses. They seem to have this unspoken rule of keeping their existence a secret from the general public, but they do interact and mess with humans every now and then as long as they do it discretely. In this series, humans are mostly background noise unless they are part of the world-wide organization that seeks to study and capture immortals. There are four main human characters across the series but either they just thought they are human or they immediately get transformed into an immortal. I thought this will pose a problem because I prefer my heroines humans. Apparently, unlike immortals in other paranormal series the immortals in IAD avoid romantic entanglements with humans as humans are too easily injured by immortal strength. Humans will break. Indeed, it took a while for the series to capture my imagination, as I continued reading out of duty to finish what I started. I read first A Hunger Like No Other, which is about a Lykan (super strong immortals whose fierceness leads folks to label them as werewolves) who abducts a vampire-Valkyrie to be his mate. He has been chained to a rock under Paris for 200 years and only manages to escape when he scents her above ground. The fierceness of that attraction causes him to amputate his own leg. It will grow back anyway. (but if he can do that how come he did not amputate earlier?!). Emma is considered frail and young among immortals, only 70 years old, and she certainly acts like a juvenile throughout the series. But the pursuit is hot and fierce. Emma gives in to the heat, as she also slowly discovers her own heritage and strength to protect those she loves. Through this story, I get a peek into the complex political and cultural universe of IAD. Through the individual love stories of each book the reader gets more details about an epic conflict that takes place every 500 years. With each book, the tension builds up bringing the characters closer to that moment. With each book, I realize that these episodes are pieces of a puzzle manipulated by a grand master. The pairings are apparently alliances positioned to give the good guys a fighting chance. Matchmaking for a cause. This is what got me addicted. I was speechless at the grand world-building. Stories jump across parallel dimensions, vividly described, fascinating and exotic. When I managed to let go of deeply held reading preferences in the romance genre I also started to enjoy the romance stories. Most of the women in IAD are strong, assertive women who can play as good as the men. The series becomes progressively better. The characters are more memorable and the quests more gripping. My favorite stories are the latter ones: Lothaire and Dark Skye. Lothaire is the half crazy ages-old vampire, a master manipulator who falls for a human, by which point his end game, which he has been working on for millennia, does a 180° to only encompass making her also an immortal. She does not take this well at all. There’s a beheading, a heart scooped out as an angry gift, and an amputated middle finger as an insulting retort. I can’t believe the antics of this couple. Dark Skye is intense. Lanthe, a once-formidable sorceress, and Thronos, prince of Skye Hall, have a tragic history between them, which began when they were both children. He has been chasing her for centuries, for revenge or lust he could not rightfully tell. She has been running from him for fear of her life. These characters were introduced some books back. Her account of her childhood is quite chilling. That Lanthe and Thronos finally find each other is one of the most touching moments in the series. The other is when the Valkyrie Regin and berserker Declan aka Aidan reunite in this lifetime, in Dreams of a Dark Warrior. I’m surprised her story became a favorite because I found her aggravating in the earlier books. But there is something so precious in the never-ending search of Aidan’s soul for the woman he saw first as a 12-year old who grew up to become one of the strongest Valkyrie that ever lived. I also enjoyed the story of Lucia the Huntress and Garreth MacRieve, Prince of the Lykae (Pleasure of a Dark Prince). They have the best action adventure in the series, a treasure hunt and a mission to kill a cannibal god. It’s a trek through the Amazon against giant alligators, crazy assassins, and mad humans. Lucia actually doesn’t want to have anything to do with Garreth initially and she does her best to shake him off, but the guy is besotted and revives again and again to resume the chase. Character stories overlap between books and once the focus is on a specific couple, the POV shifts to them. Even if I’m not keen on a certain book I still devour it to be able to follow the characters I like. So I must warn readers of paranormal romances, urban fantasy and adventures, IAD is a pretty immersive read. Its character stay with the reader. I drowned in it happily and only surfaced when I ran out of books.